Georgina began her Real Estate career in Collin County in 1985 with an Independent Broker in Frisco when the population was around 4500 people. In a community that small she was able to learn the ins and outs of Residential, Commercial, and Real Estate Land development by serving on numerous committees with the City of Frisco and the Collin County Board of Realtors. 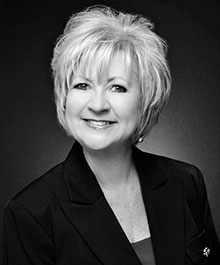 In 1995 Georgina joined Keller Williams Realty as the Collin County boom was well underway. This fueled her real estate production! Keller Williams provided the perfect match with training and technology. With this powerful combination Georgina soon held top production and Agent Leadership designations and began to train and mentor other agents. Continuing to serve the communities real estate needs is a true passion for her. In 2009 Georgina accepted the Team Leader position in the Keller Williams North Country office in Celina. Georgina recruits, coaches, and trains agents and is one of the "Top Go To" Real Estate professionals in the North Texas area. Her goal is to build a great team of service oriented top producing agents in a high tech learning based office. Call or come by any time to visit our office for any Real Estate need. Georgina will be waiting to talk with you. Real estate business has been a part of Bobby Apple’s family for generations; with lineage as far back as England's settlement of the State of Virginia, to farming and ranching stretched across the Carolina's, Tennessee, Oklahoma and Texas. In 1972, at the age of 19, an Ellis County Judge removed his minority status and declared him an adult so he could apply for his Texas Real Estate Agent’s License. During the past 43 years, Bobby has held both agent and broker licenses in Texas and New Mexico. Real estate activities have included transactions in Mississippi and South Carolina. Bobby spent 22 of his 43 years in the industry as a Texas General Real Estate Appraiser operating within the initial 16 counties around the Dallas/Fort Worth area. As a result of the training Bobby provided local appraisers, three successful appraisal companies started operations and are still in existence today. Appraisal assignments included residential mortgage, commercial lending, farm and ranch, development, estate planning, right-of-way, condemnation and expert testimony. In 1992, while working as a broker, Bobby earned the national designation of Certified Commercial Investment Member (CCIM) and is currently working to become an Accredited Land Consultant (ALC) through Realtors Land Institute. Keller Williams Commercial is the largest real estate firm worldwide offering specialized professional agents within 50 offices. As Commercial Director with Keller Williams North Country in Celina, Texas, Bobby provides training and supervision over commercial transactions as well as leasing commercial space, land development and investment brokerage. Commercial clients include a mix of 60% local and foreign investors with the remainder being local and national clients and developers. The population growth north of Dallas, along with expansion of employment, general business growth and increasing roadways, highways and toll ways contribute to the commercial expansion at Keller Williams North Country. Our commercial department also serves as consultants to many outside real estate professionals for needs within our market place. In his spare time Bobby has served as the Board President for Celina ISD with 13 years as a trustee. 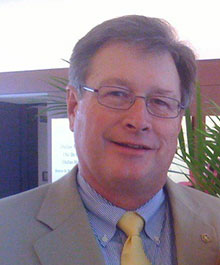 He served as Rotary Club President for 23 years and is a member of Community of Hope as a Lay Pastoral Care Giver. He has been married to his wife Cathy for 42 years, and lives on a small family ranch in Celina. Bobby and Cathy have two sons and three grandchildren.